keko.- Oye Martim , cuanto tiempo tienes haciendo Sandboarding? Martim.- Tengo 13 años, comence en el 1996 cuando mi papa se vino a vivir a florianopolis y me regalo una tabla de sandboard, y con el paso del tiempo y en diferentes viajes fui aprendiendo ,donde diferentes personas me enseñaron sobre construccion de snowboards y todo fue evolucionando y ahorita estoy haciendo las tablas AIA. K.- Cuales son sus lugares favoritos para deslizarse en Brasil? 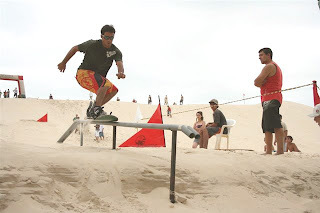 M.- Aqui en Brasil hay muchos lugares, las dunas de Santa Catarina, Florianapolis, dunas de Joaquina que son muy buenas, ahi es donde ha empezado la historia del Sandboard Brasileño, dunas de siriu, Garopaba y en Arangua Morros de Conventos, pero aun hay lugares en el norte de Brasil que quiero conocer. K.- Cuantos riders componen AIA crew? M.- Yo me encargo de hacer las tablas y en el equipo patrocino a 9 riders y ellos me dicen que les vaya mejorando, pero el team ha ido creciendo por los clientes y amigos tambien porque el Sandboard por aca se ha ido expadiendo bastante. Ellos son de Santa Catarina: Bruno nunes, Jefferson Macedo, Cleyton nunes, Cristian Ramirez, Carlito bittencourt. De arangua solo uno: Lealdo dos santos, de rio grande do norte: Paulo victor y por ultimo de Natal Ceara: Clenilson da silva, Samir Gomez. K.- Cuanto tiempo llevan juntos? M.- Llevabamos 3 años, pero ha sido todo un proceso porque cuando comence con la marca AIA no patrocinabamos a ningun rider, pero bruninho y negao practicaban con ellas y me iban ayudando a mejorarlas y con el tiempo la marca ha ido ganando respecto y se fue formando el equipo. K.-Que tipos de tablas estan utilizando y cuales son las marcas mas usadas? M.- Son las de construccion compuesta de fibra de vidrio, madera, resina epoxi, formica y fijaciones de snowboarding, las marcas que mas se utilizan son: Planet Summer, Mormaco que patrocina a riders famosos y yo con AIA sandboards. K.- Cuales son los trucos mas dificiles que han podido lograr? M.- Yo el indy 180 y quiero lograr el 360, pero los demas el double frontflip, back flip 180, rotacion 720 y 540 switch. K.- Hay algun pais al que quieras conocer? M.- Hay muchos, pero me encantaria conocer la Huacachina y Cerro blanco en Peru. K.- Muchas gracias por la entrevista, por ultimo hay algun consejo que quieras darles a todos los que miran sus videos en Mexico para mejorar su nivel en Sandboarding? M.- Pues mira las fijaciones de snow hacen mucha diferencia para evolucionar tu estilo por la seguridad y comodidad, mucha de la tecnica de snowboarding se aplica a la arena, asi que el equilibrio basico es muy similar: peso adelante, rodillas semi flexionadas y el tronco erecto. Para las curvas es necesario la velocidad, de lo contrario se enterra y frena la tabla. Tambien en la cera(parafina) puedes mezclara con un polvo para graffiti(lubricante de llaves) que al mezclarlos en el calor, hacen que la formaica quede cada vez mas encerada y rapida, eso es todo, que estes muy bien este fin de año, grandes abrazos, martim. 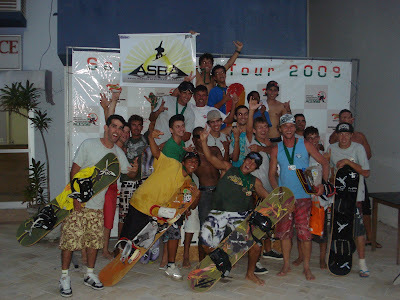 When i saw the videos of the AIA crew i can't close my mouth because they are doing awesome tricks, a lot of people are witness of that, recently i had an interview with them, and the reason to have a high level in Sandboarding is because they a lot experience, next check the interview? Keko.- How long you have practicing Sandboarding? 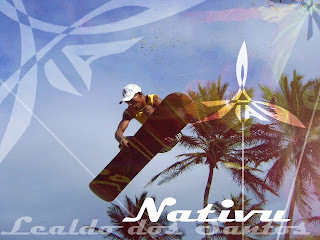 Martim.- I had 13 years, i started in 1996 when my father move to florianopolis and he gave me a Sandboard, with the time and so many travels different people taught me about the constructions of the snowboards, and now i design the AIA Sandboards. K.- Which places are your favorites to practice in Brazil? M.- The dunes of Santa Catarina, dunes of Joaquina in this place the history of the Brasilian Sandboarding begins, also the dunes of siriu, morros do conventos, but in the north of Brazil has more places. K.- How many riders has the team AIA? 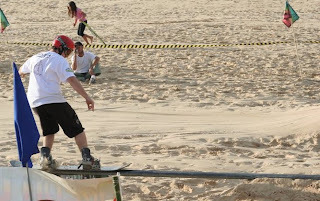 M.- I design the boards, but also sponsors 9 riders, but the team has grown by customers and friends, besides that here in brazil sandboarding has exploded in every city. 5 riders are from Santa Catarina: bruno nunes, Jefferson Macedo, Cleyton nunes, Cristian Ramirez, Carlito Bittencourt. From Arangua just one: Lealdo dos Santos. From Rio grande do norte: Paulo Victor and from Natal Ceara: Clenilson da Silva and Samir Gomez. K.- How long has the team together? 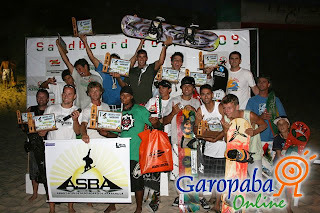 M.- We just have 3 years together but it was a long process, because when i started with AIA boards, the team has'nt any rider, only bruninho and negao help me with my boards they practiced with it and gave advices to make better boards. Over the time the brand was becoming famous and the team was formed. K.-What kind of boards your team use and which are the most famous brands in Brazil? 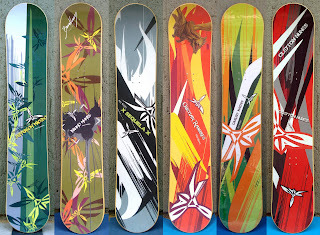 M.- Boards with composite of fiberglass, wood, epoxy resin, formica and snowboarding bindings and the most famous brands are: planet summer, mormaco and AIA boards. K.- Which are the most difficult tricks your team complete? M.- Me the indy 180 and i practice to comple the indy 360, but others complete double frontflip, backflip 180, 720 rotation and the switch 540. K.- which country you'd like to visit? M.- Many but one in particular is Peru it has the huacachina and cerro blanco. K.- Thanks a lot for interview, one last thing, do you have an advice to be better riders to all the people in Mexico who see your videos? M.- The first thing is use snowboarding bindings it help you to evolutionate your style and security, also a lot of technique of snowboarding apply in the sand, so the basic balance is very similar: weight forward, knees semi flexed, the spine straight. if you want better wax just mix it in the heat with a graffiti powder that is a lubricant for keys, the wax will be more fast. Enjoy next year big hugs, Martim. Publicadas por Keko Morales a la/s 10:35 p.m.